When a child misses a meal, they feel more than a grumbling stomach. They feel anxious and tired, making it harder for them to concentrate in school. When a child regularly misses meals, they have a higher risk for chronic health conditions, are more likely to require hospitalization, and experience more behavioral issues and emotional difficulties. 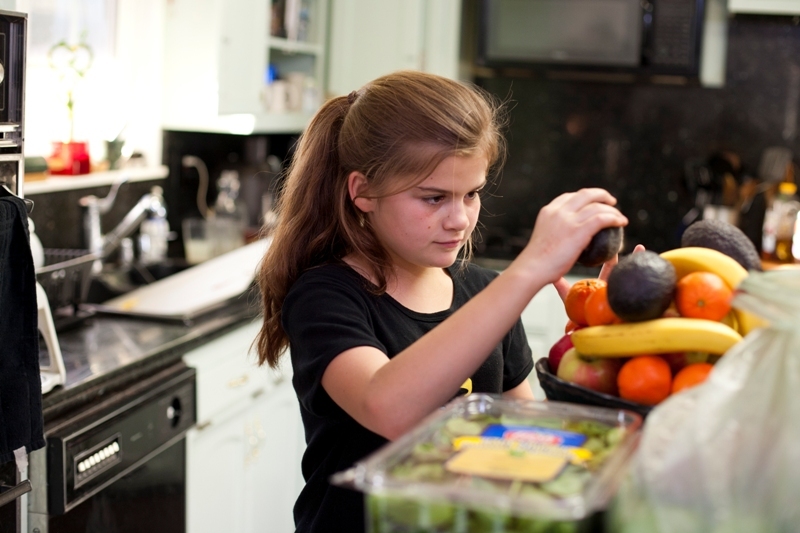 When a child does not have consistent access to healthy food, that child misses out on their full potential. When a small group of compassionate people started our food bank 35 years ago, hunger-relief was widely viewed as a social service with little connection to health or healthcare. But now we understand our role in nutrition and the overall health of our community. Now we know we not only feed our most vulnerable neighbors, but we impact their ability to lead healthy, active lives. A family living paycheck to paycheck often has only a few dollars to spend on groceries. So they buy the least expensive items in the store, usually food that is filling but has low nutritional value. As a result, many people struggling with food insecurity do not eat enough fresh produce, whole grains, or lean meat, and instead eat food high in sodium, sugar, and trans fat. Poor diets lead to chronic diseases, which lead to higher costs of medical care. The costs of doctor visits and prescriptions compete for a larger portion of a household’s budget, leaving them even less money to purchase healthy food for themselves and their families.The majority of the households we serve have had to choose between buying food or healthcare, with parents weighing the costs of providing a meal for their child or purchasing life-saving medication. When bills pile up and the food runs out at home, families turn to their local food pantry. How can we ensure these families will receive the nutrition they so desperately need? What can we do to break the cycle of food insecurity and build healthy, strong communities? We work hard every day to build partnerships with local retail stores and farmers to provide consistent donations of healthy food including fresh produce, whole grains, and lean meat. Our volunteers know how much fresh produce is in our distribution centers that is ready to be sorted, packaged, and sent out into the community. We also work with our partner agencies to help them provide additional services so that their clients receive nutrition education, health screenings, and access to other local resources in addition to a bag of groceries or a hot meal. This holistic approach eliminates the barriers many of our neighbors face when trying to seek help, making it a little easier for them to get back on their feet. As we close out National Nutrition Month, remember that a healthy life starts with good nutrition. And a healthy, strong community starts with you. How you can help: If you’d like to help us provide healthy food to your neighbors in need, donate online at foodbankcenc.org/donate. Your donation will allow us to continue our services, including providing thousands of pounds of fresh produce to our partners every week. For every dollar donated, we can provide five meals to the local community. If you already support our mission, thank you! Share this blog post with your friends and family.